Charming townhome located in the Historic Victorian District, one block from Main Street Breckenridge, just steps away from shopping and restaurants. Each unit has a washer/dryer. The free bus shuttle stops outside the property every 20 minutes. The townhomes were recently renovated with new furniture, carpets, tile floors, kitchen counter tops, flat screen TVs and new bedding. 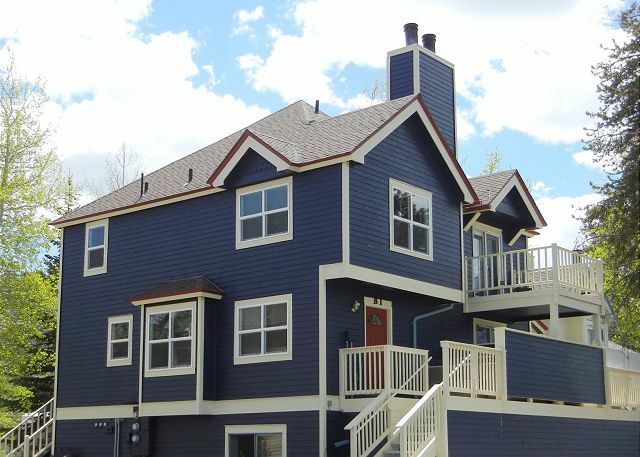 French Ridge is a small, charming property with 24 units. Most are two story. Upstairs is the Master Bedroom and private bath, a stack able washer dryer, and a 2nd bedroom with a set of twin beds and own bath. Downstairs is an open floor plan with the kitchen, dining, living room, fireplace and entrance to your deck. There are 2 garden level, single story units should you have difficulty with stairs. Thank you for sending French Ridge a 5 star review! We are happy that you enjoyed the home and your stay with us! 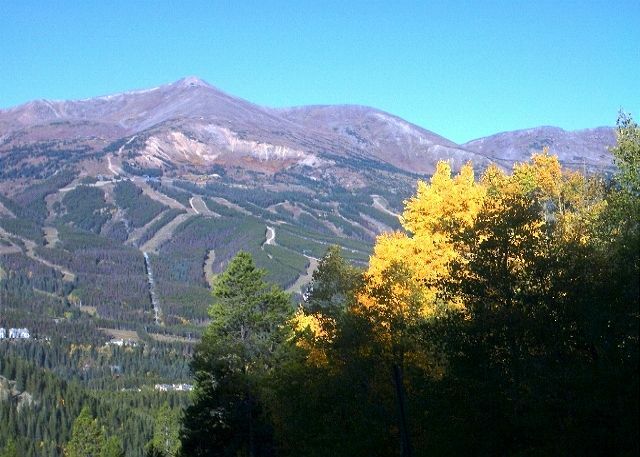 We used this as a base for hiking and enjoying Breckenridge downtown restaurants and shops. We were only 2 blocks from Main Street shops and restaurants so we could easily walk. The advantage is that a parking space came with our rental-most all other parking in Breckenridge has a fee. The visitor's center downtown was very helpful in suggesting hikes with varying difficulties. We also hiked some 14'ers in the area. Great time! 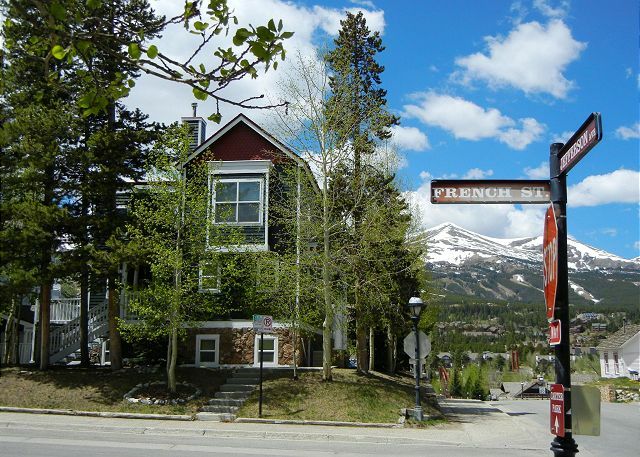 French Ridge is the best location for all the great activities we have in Breckenridge, we are glad that you could enjoy the home, the location and all things FUN! Parking is a pain and we are happy that we can provide a free parking space. 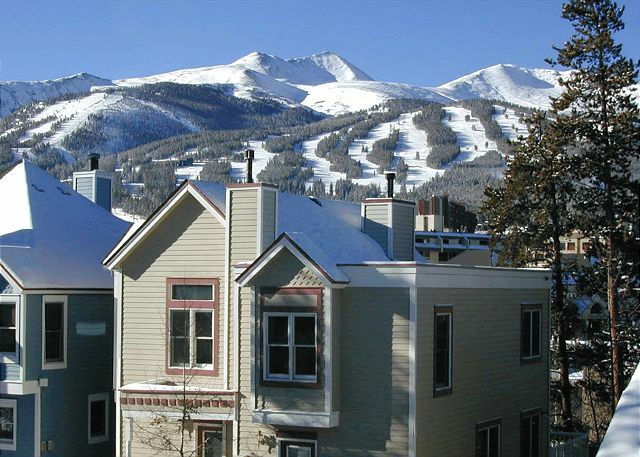 French Ridge is the best location in Breckenridge! We are happy to hear you liked the accommodations. Thank you for sending us a review. 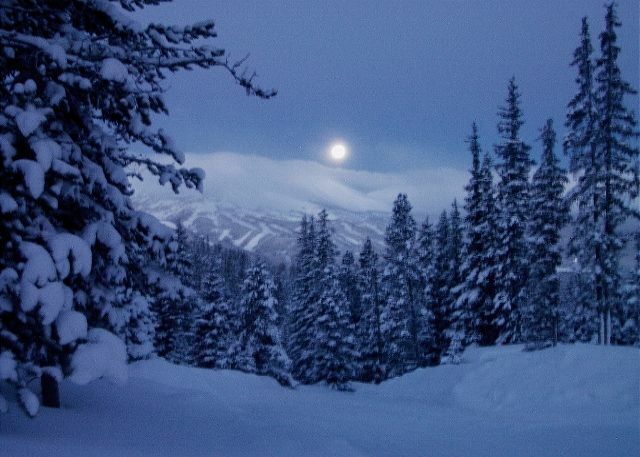 We hope to see you for your next trip to Breck! Wonderful accommodations. First night we had a visitor...a moose! Close to slopes. Would deff. Return. Excellent customer service. The location is great. One block from main street and across the street from the grocery store. It was real cold outside (-10). The fireplace was really relaxing. This was our fourth time staying with Alpine Meadows. Overall it was a great experience. The location is in close proximity to downtown so it made it easy to get to things after getting off the slopes. The place is a little bit small (especially the kitchen) and VERY noisy. I would stay there again but maybe not in a unit right on Ridge St. It would help to have some basic spices such as salt and pepper. We had a great stay. We actually were in unit H-3 which is a ground floor one story unit. The staff was extremely helpful. We had over 40" of snow during our stay and the staff kept the parking lot and sidewalks clear at all times as well as the firewood stocked. They even helped us when our rental car got stuck. The unit itself was well maintained. The only negative thing I can say about the unit is the mattress on the pull out sofa is very badly worn and needs to be replaced. We have two teenage boys and a pre-teen daughter so while we managed just fine, in the future we will probably opt for a third bedroom. We purchased an air mattress at Walmart which was more comfortable to sleep on than the sofa and easier to move out of the way when not in use. Location could not be better. The bus to the slopes is right out your front door every 20 minutes, a well stocked grocery store one block away, and the historic town just 2 blocks away. I even walked home from the base of peak 9 easily in less than 15 minutes with ski boots on several of the days. For those that have never been to Breck before, I strongly recommend staying where you can walk to town. 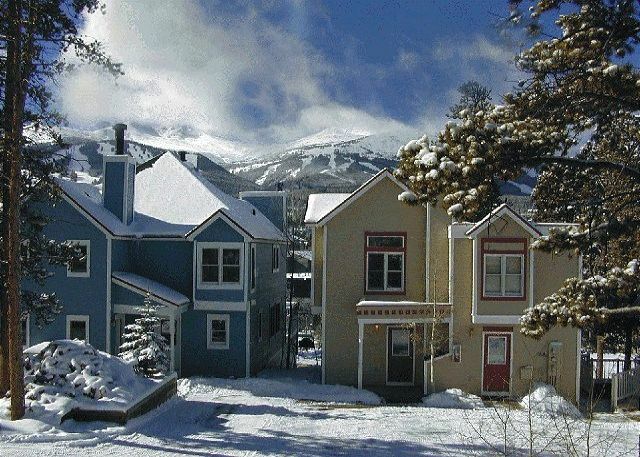 The town of Breck has it all - restaurants, shops, ski shops, churches, ... And French Ridge Condominiums are steps away from it all. We were actually in E2, not A1. The unit had a deck with a view of the mountains, and we had 3 spectacular sunsets during our stay. Great place to stay! Great location!!! This was our third trip to breckenridge this year but our first time staying here! We loved the location and will be staying there again! In the past we have stayed in the mountain but found this location much better and much more convenient! This home was close to fact we never had to move our car once! The home was clean and the home had everything we needed! It was clean and very quiete for a town home! We met some of the neighbors...all who were very nice! The booking and check in process was really easy! Overall this was a great place to stay at a great price with a fantastic location!!! Every one was so helpful that it made it easier to plan the time.